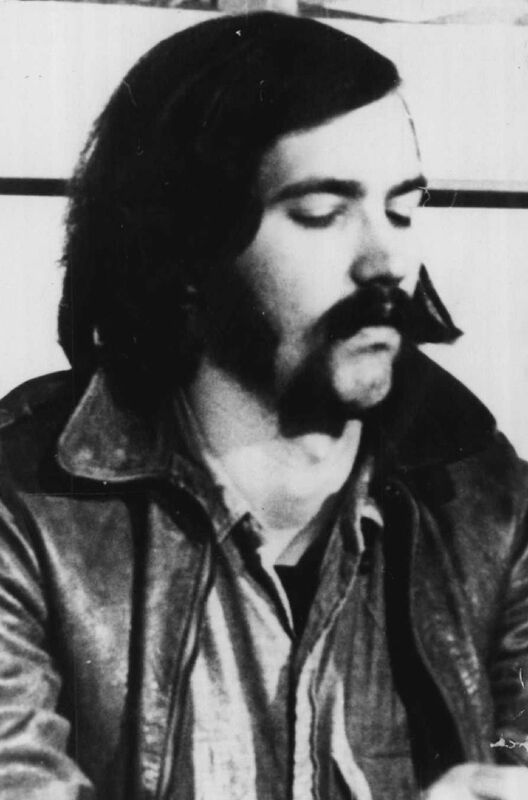 The fledging Seattle Liberation Front had taken a leadership role in street demonstrations following contempt citations against the Chicago Seven. 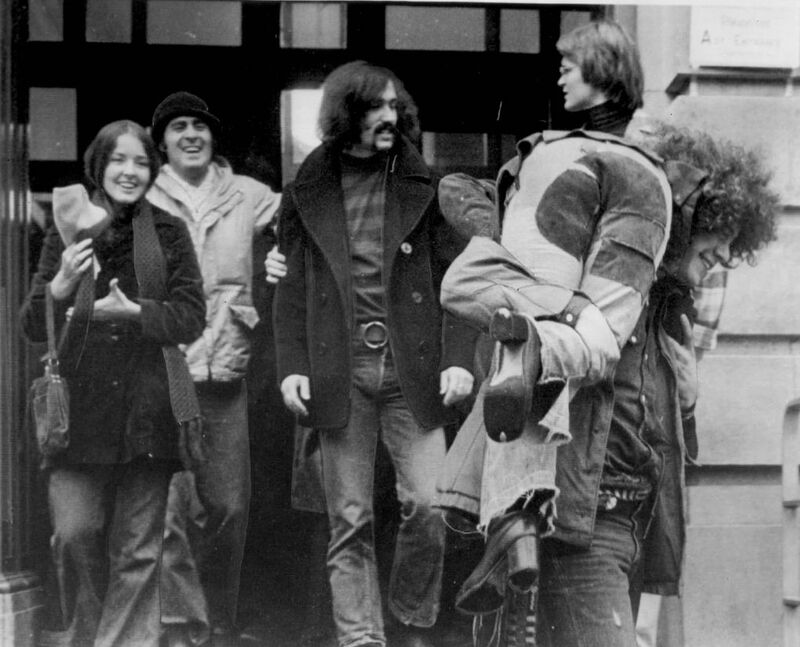 IN JANUARY 1970, with no end in sight for America’s war in Vietnam, an unlikely and accidental band of young Seattleites emerged to lead a newly minted and fast-growing local anti-war organization they called the Seattle Liberation Front. 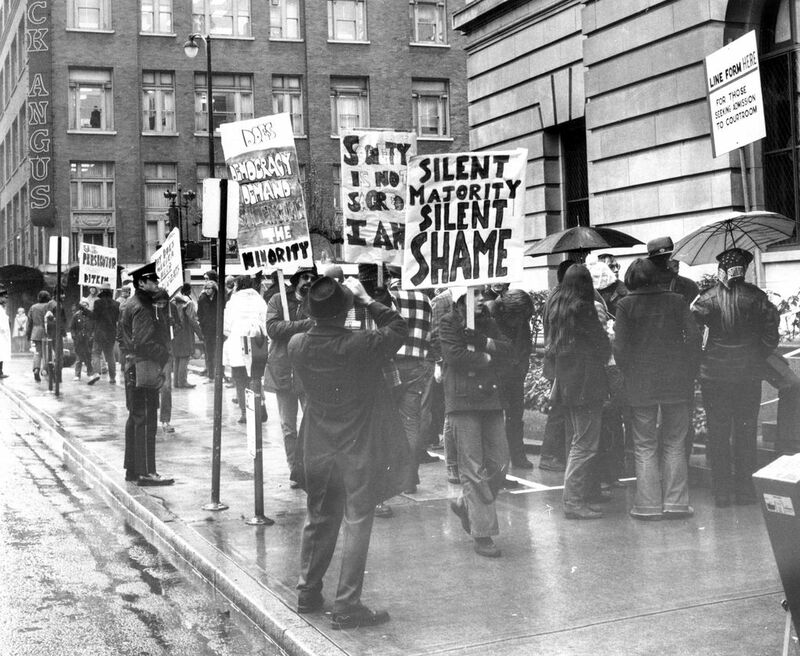 Contempt charges issued to the Chicago Seven during their conspiracy trial sparked “The Day After” street demonstrations Feb. 17 in cities around the country, including Seattle, where the fledgling SLF took a leadership role. 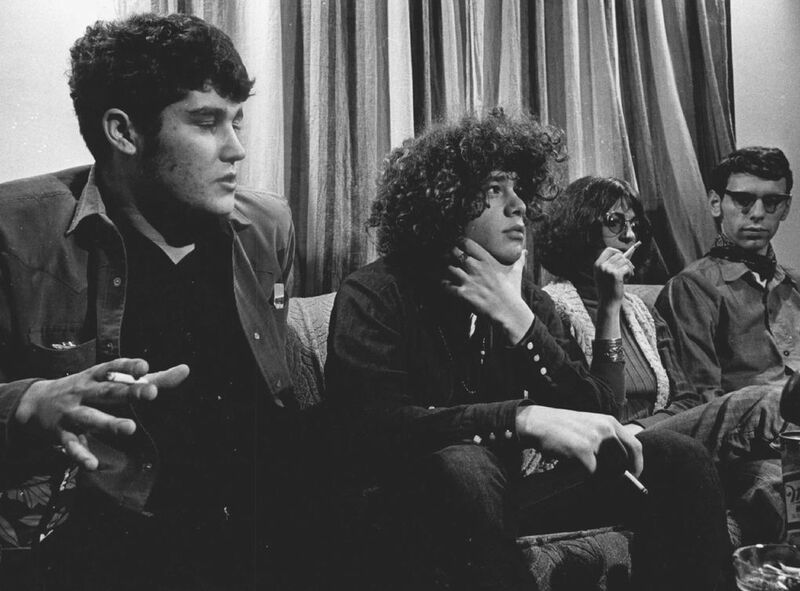 Their energetic but quarrelsome efforts to stop the war and remake their world had hardly gotten off the ground when Michael Abeles, Jeff Dowd, Joe Kelly, Michael Lerner, Roger Lippman, Chip Marshall and Susan Stern were targeted by a federal grand jury and indicted and arrested on conspiracy and riot charges. 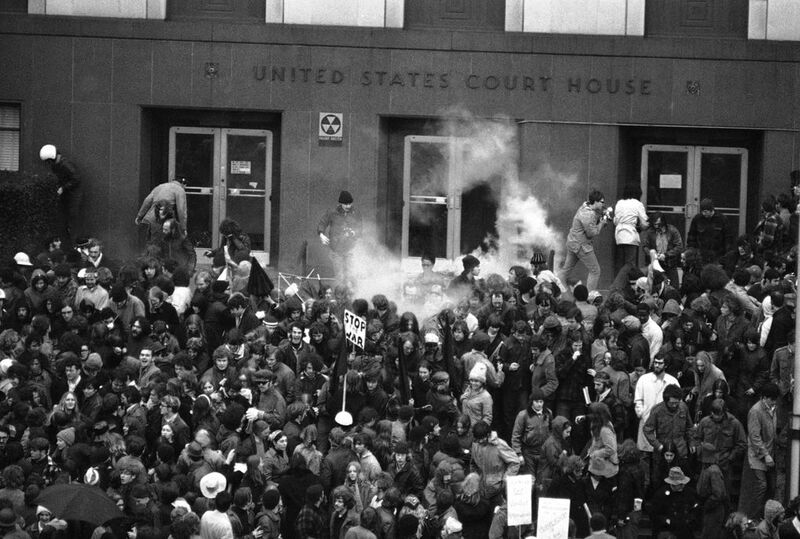 The trial of the Seattle 7 showcased their naiveté, wit and unexpected savvy as they resisted their government’s determination to quash dissent against racism, capitalism and the war. During their chaotic trial in Tacoma, they received a 12-day crash course in the American judicial system. Spokane lawyer Carl Maxey and nationally known attorney Michael Tigar led the defense team; the U.S. prosecuting attorney was Stan Pitkin, a young and upcoming Nixon appointee. When Pitkin’s key witness faltered and the government’s case appeared doomed, the presiding judge issued a surprise ruling. 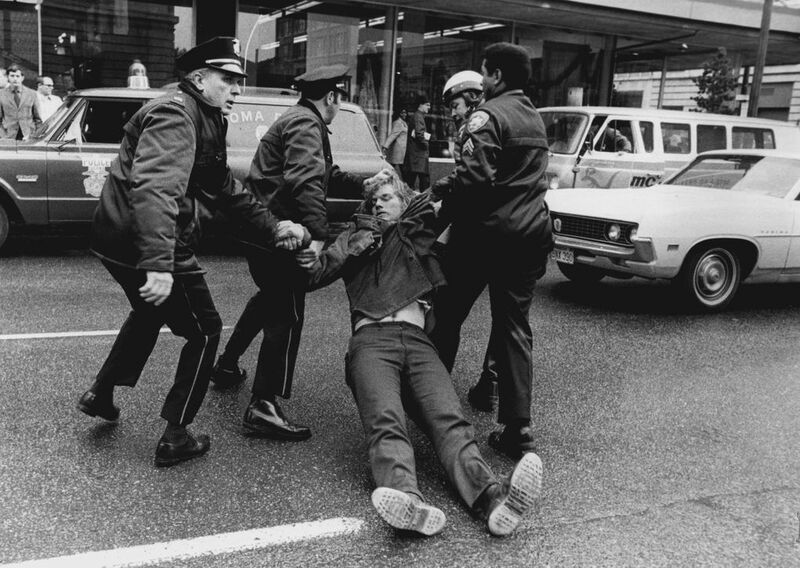 “Protest on Trial: The Seattle 7 Conspiracy,” by Kit Bakke; 252 pages, $22.95, © 2018 by the Board of Regents of Washington State University, published by Washington State University Press. For more information about the book, or about author events, visit kitbakke.com. THURSDAY, DEC. 10 , the defendants ran out of patience. Strategy and cooperation, what there was of it, went out the window. Justice was nowhere to be found. 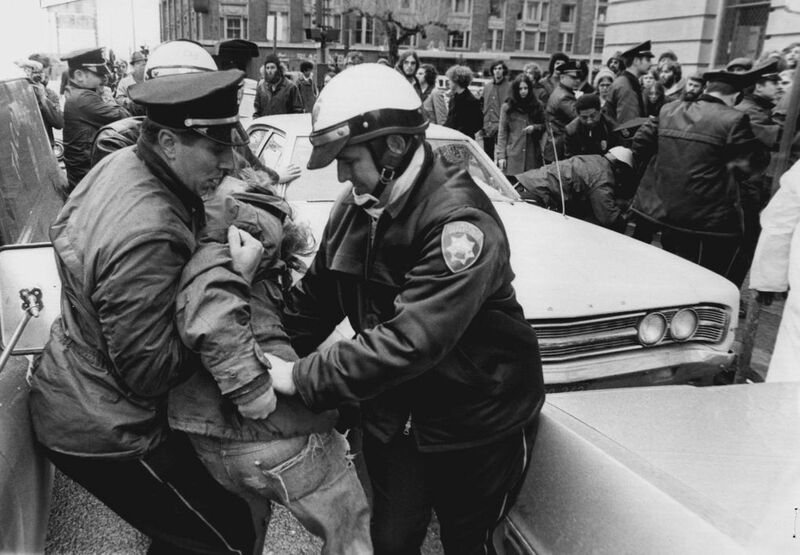 The skies were spraying freezing rain on the defendants’ supporters; Judge George H. Boldt refused to address the issue of so many people out in the rain, even though a perfectly safe and dry vestibule was available. The prosecution appeared to be dillydallying. The defendants had had enough of this legal game. 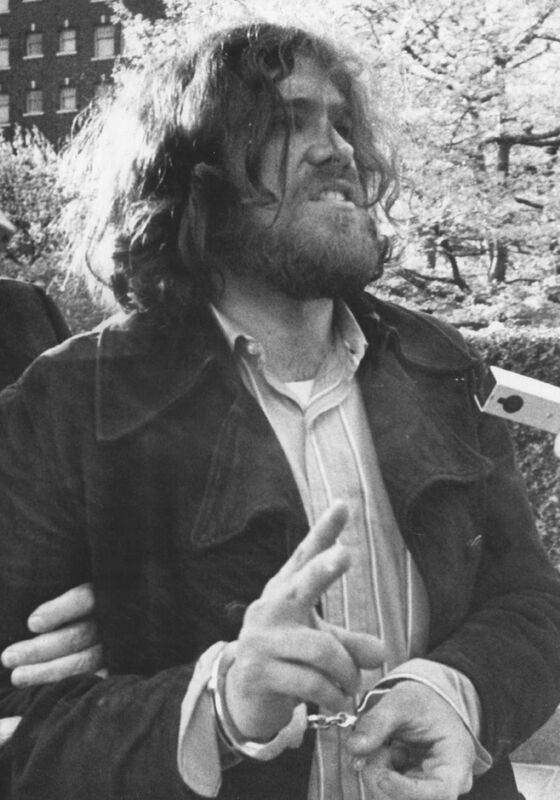 Early in the morning, Jeff Dowd strode out of the defendants’ conference room and down the hall to the judge’s chambers, determined to convince Boldt to do right by their cold and wet supporters. He pounded, hard, on the judge’s outer door, yelling that he wanted to talk with him. Dowd rarely did anything quietly. Boldt was taken aback by the ferocity of the pounding, saying later it almost broke the door. When he emerged, with help from marshals, he immediately cited Dowd for contempt, noting his belligerent temperament throughout the trial. The judge said he had no intention of letting any of the spectators in. Dowd returned to the defense room to tell his alleged co-conspirators the news of his contempt citation. About 20 minutes later, the jury was seated. 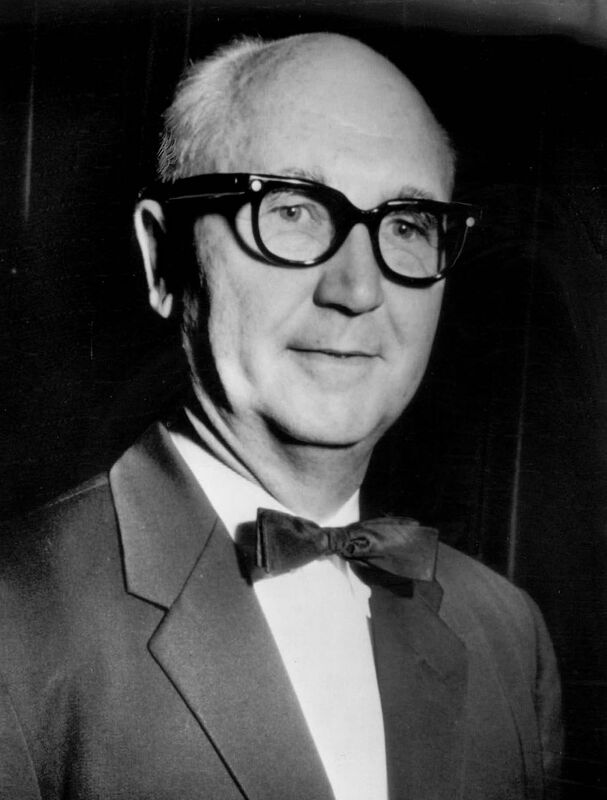 [Stan] Pitkin and his staff were present; the judge was there; but Carl Maxey was the only one at the defense table. In retrospect, the defendants commented that it was unprecedented for Boldt to have seated the jury before checking to see that both defense and prosecution were present and ready to begin the day’s proceedings. Suddenly, attorney Michael Tigar hurried in to the courtroom, having come from the defense conference room, where the defendants were still talking about how to convince the judge to allow their supporters to come in out of the rain. Addressing Boldt, Tigar attempted to plead the spectators’ need to take shelter in the vestibule of the courthouse. The judge would have none of it, and ordered Tigar to bring the defendants into the courtroom. He sent a bailiff along with him to see that it was done. 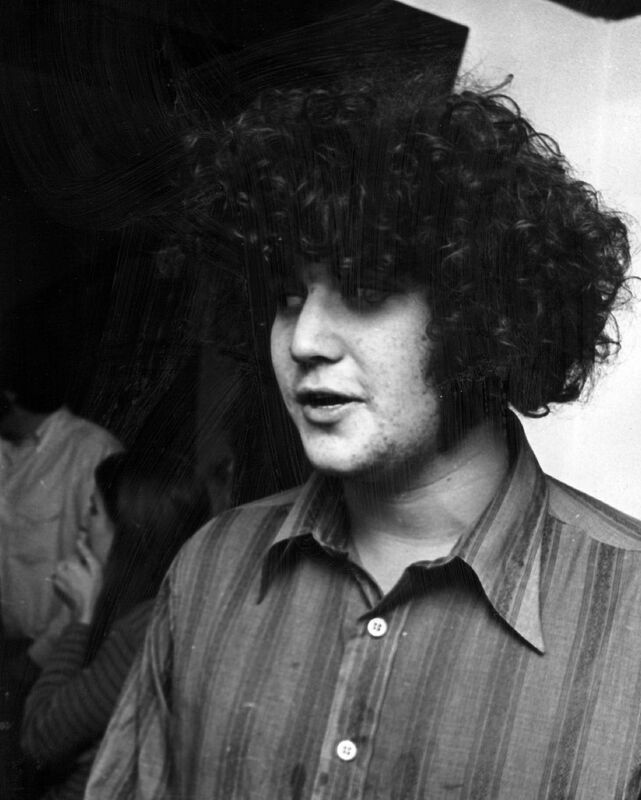 The bailiff returned about five minutes later to say he had notified the defendants to appear, but that Michael Lerner had asked for five more minutes to confer. Lerner was trying to convince his fellow defendants that it was not good timing to demand a discussion about the spectators in the rain, or to object to Dowd’s apparent contempt citation. “Let’s not hold things up for these two procedural issues,” he pleaded. The others disagreed. Exactly five minutes later, the bailiff was sent to get the defendants. He quickly returned to the courtroom to report that the defendants’ room was locked, but that the missing defense attorneys were coming down the hall. Tigar explained that the defendants didn’t want to return to the courtroom unless those two matters could be discussed first. Boldt refused, saying, “I personally will go there.” He ordered the jury and the spectators to stay seated, and told the defense attorneys to come with him. The attorneys, Boldt and “a large number of marshals” charged down the hallway to the defense conference room. Just as they arrived, the door opened, and the defendants poured out. Marshall and [Joe] Kelly shouted back that it was prosecuting attorney Pitkin who was frustrating the orderly progress of the trial, as he hadn’t brought in a witness for two days. The defendants had never back-burnered their earlier shock and anger over the skewed jury selection process, either; nothing, they said, about the whole process had seemed fair. Boldt, equally angry, repeated his story of how loudly Dowd had pounded on his door. Although he didn’t say he was frightened, observers noted he was shaking and pale. Marshall: The reason you do is you are afraid the jury has seen Mr. Pitkin and his witnesses. We are not afraid of the jury. Kelly: We think we can get off. 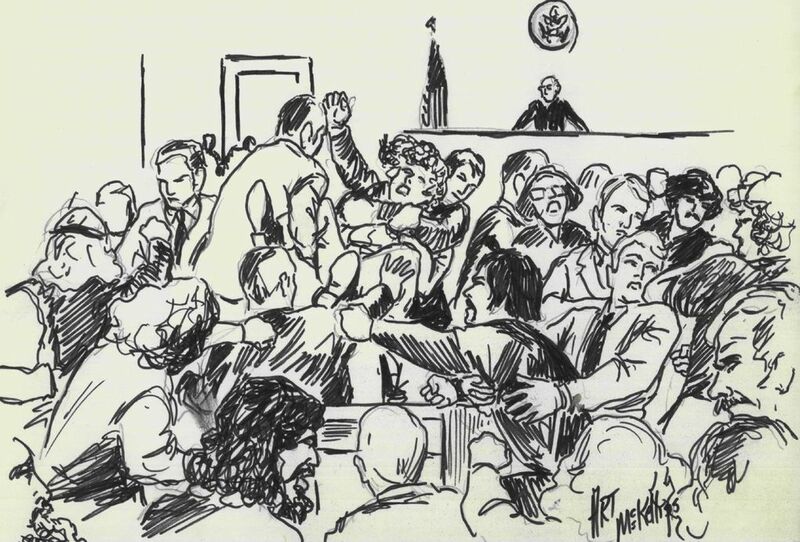 The judge then ordered the courtroom cleared, and repeated, “I now declare a mistrial of this case by reason of misconduct of the defendants and, to some extent, their counsel in failing to assist the court in the matter of procuring an orderly trial and in the matter of bringing the defendants into the court.” Amid much shouting from the defendants, Judge Boldt loudly repeated, “Recess! Recess!” as he backed strategically behind a bailiff into his chambers. The defendants assumed they were heading back to jail immediately. An hour and a half later, the attorneys and the defendants were summoned to Boldt’s chambers. Boldt said he couldn’t get the contempt citations completed for an afternoon session, so he would deliver them in the courtroom the following Monday morning. Lerner asked whether they were going to be charged with contempt for things that Boldt had previously said he wouldn’t charge them for. In his response, Boldt called him Mr. Marshall. Lerner then explained his view of the morning’s events — that they weren’t trying to ignore Boldt’s order to come to the courtroom — and concluded, “I think it would be a tremendous miscarriage of justice now to compound this [misunderstanding] by sending us to jail.” He also raised the point, which would come up later, that Boldt had made no effort to establish whether any of the jurors had in fact been prejudiced by witnessing and hearing what they did. The defendants held a press conference. 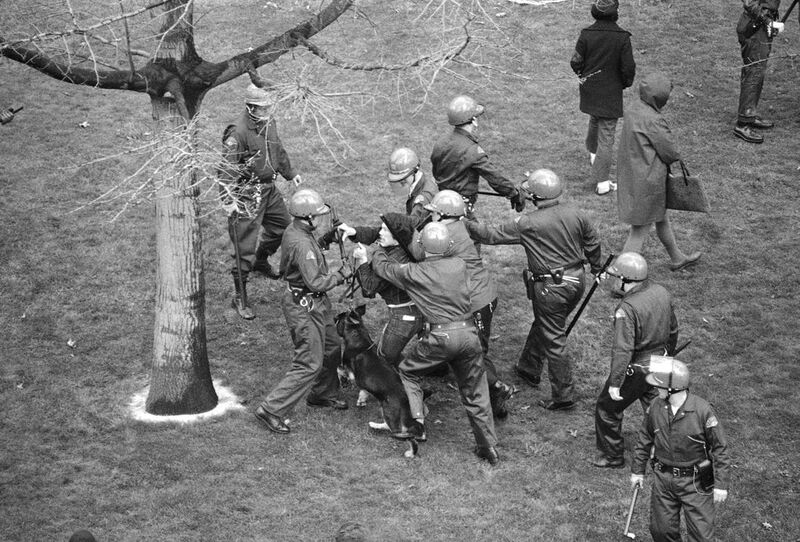 Marshall compared their situation to a railroad workers’ strike that was going on that week. “The railroads are on strike today, and we’re on strike from this railroad.” Everyone now assumed they would be sent to jail on Monday. They noted that the prosecution had delayed the trial for almost two days, calling no witnesses since [Horace “Red”] Parker, with only a mild reprimand from Boldt, yet when the defendants delayed the trial for five minutes, Boldt went ballistic. Tigar said what was really happening was that the government was playing a double-jeopardy strategy — since the prosecution appeared to be losing the case, the government had decided to end it and start over again. Meanwhile, Tigar jump-started his research on declarations of mistrial, instances of double jeopardy and the finer points of contempt citations in excess of six months. Back in the courtroom for a brief session, Boldt again told the attorneys and defendants that he needed some quiet time to collect his thoughts to document the citations and notice of mistrial. “I need some — what did they use to call it, the MRA people, what was their name? What was it, the Moral Re-Armament? A quiet time.” For the newspapers, though, he didn’t stint — calling the defendants’ behavior a “degrading and outrageous” example of contempt. Judge Boldt’s diary indicates that he spent all day Friday, Dec. 11, and both weekend days, Dec. 12 and 13, in his chambers working on the mistrial and contempt papers. But if he thought declaring a mistrial and invoking contempt charges under Federal Rule of Criminal Procedure 42(a) meant that he had regained control over his courtroom, he was gravely mistaken. 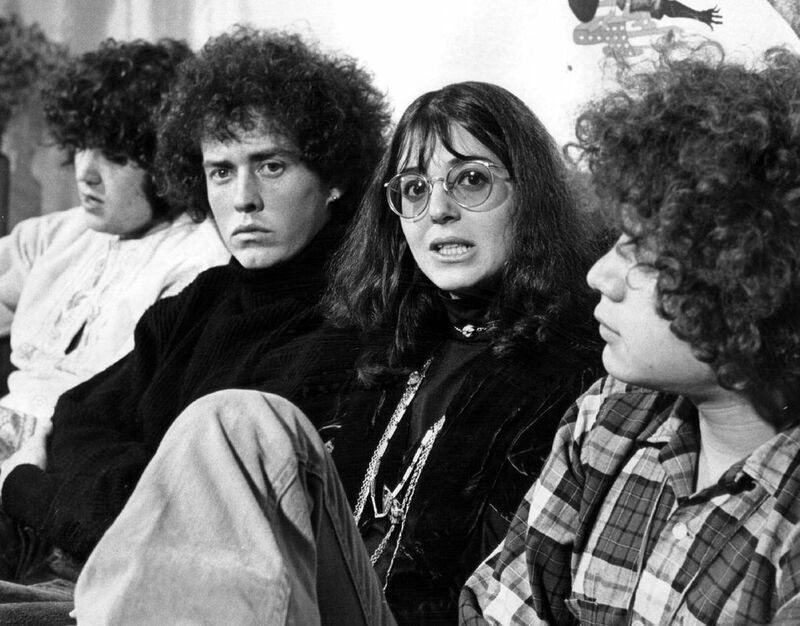 The following Monday, Judge Boldt entered the contempt sentences: a full year each for Marshall, Dowd, Abeles, Kelly and [Roger] Lippman, and six months each for [Susan] Stern and Lerner. Each attorney and defendant was allowed 20 minutes to respond. Before long, the courtroom was a shambles; 10 spectators were arrested, charged with assault and held on $10,000 bail. When Boldt handed down the contempt-of-court sentences, he declared that he would not order a new trial for the conspiracy changes until the seven had served their entire contempt sentences. In fact, all were out on bail within a month, and their attorneys then went to work appealing the sentences. The prosecution, though, would not quit. 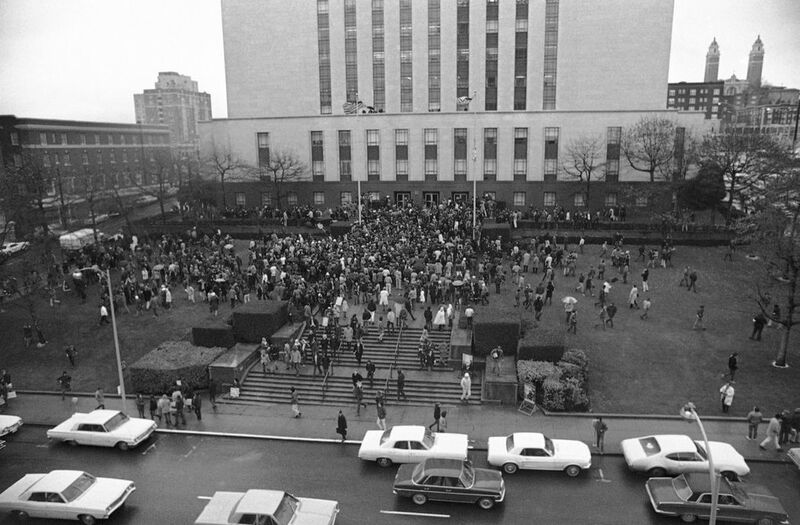 Pitkin refiled the contempt charges and set a hearing for February 1972, just over two years after the Seattle demonstration against the jailing of the Chicago Seven. By then, the defendants were tired and out of money. 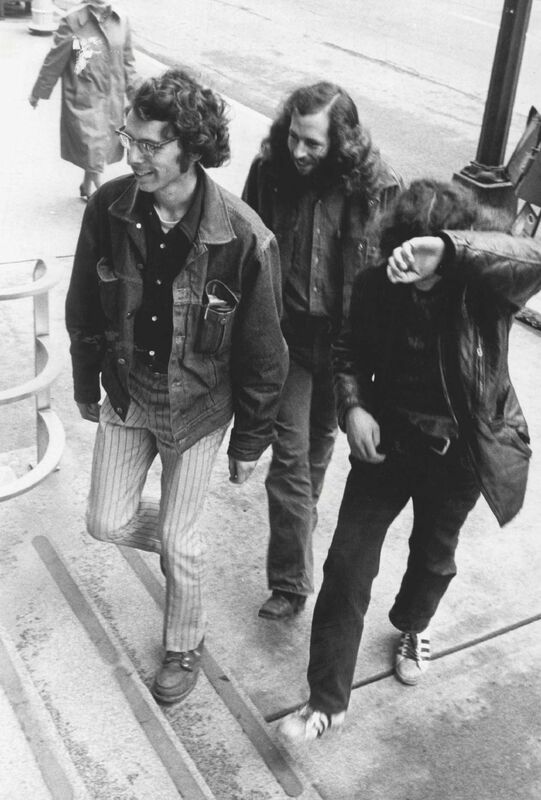 They hadn’t conspired in 1970, and by 1972, there were more dissimilarities than similarities among them. They did agree, however, to stop fighting the contempt citations, and all pleaded no contest. In some ways, the Department of Justice won. Their strategy to interfere with the perfectly legal organizing work of SLF by arresting its leaders on complicated conspiracy charges had succeeded in dismantling the group. 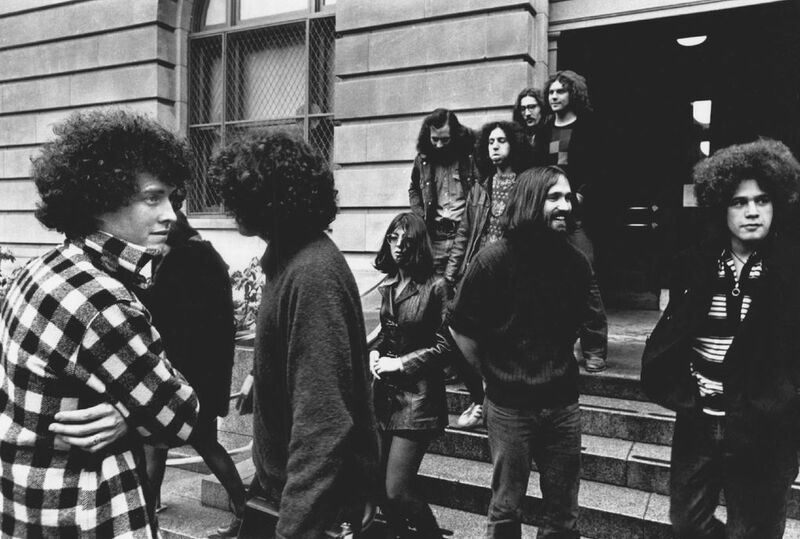 • After the trial, Stern wrote a memoir about her years with the Weatherman group (later known as the Weathermen, then the Weather Underground). She died of heart failure in 1976 at the age of 33. • Lerner lives in Berkeley, Calif., and remains politically active as a rabbi and leader in the religious left. • Lippman lives in Seattle, became interested in alternative fuels and works in the solar-energy field. • Kelly became a fisheries biologist in Eastern Washington and maintains an interest in progressive and environmental politics. • Abeles stayed in Seattle, worked odd jobs, made friends and did art. 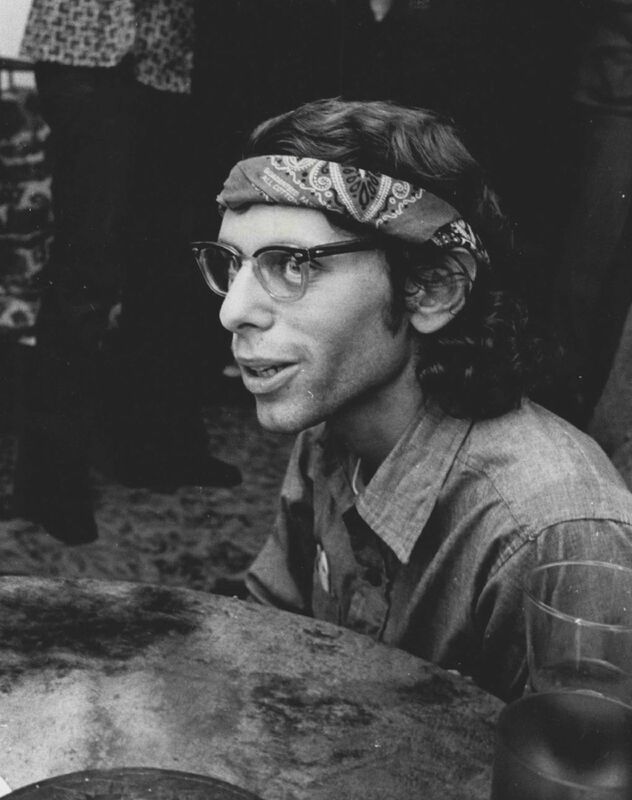 Impaired by a brain tumor combined with the effects of heavy drug use during the 1970s, he died in 2016. • Marshall twice ran for Seattle City Council, then moved to Asia, where he spent much of his career in land and building development. He now lives in Malta. 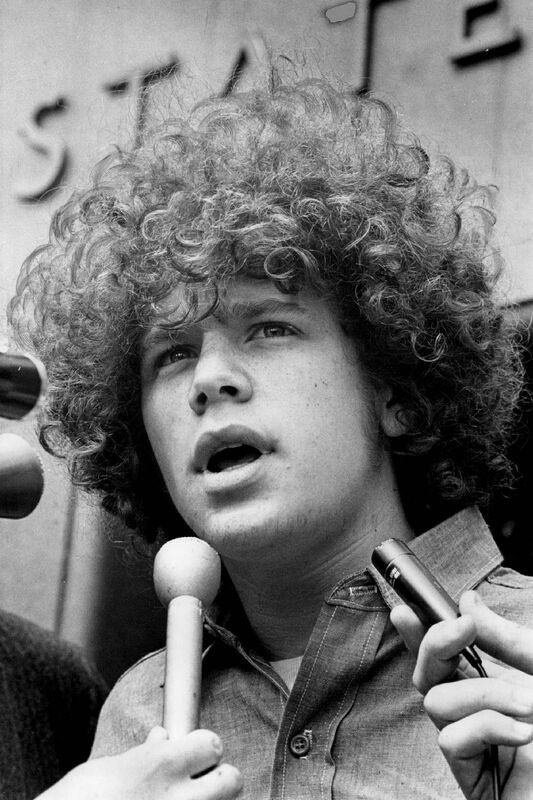 • An eighth member of the original group, Michael Justesen, went underground before the trial, joined Weatherman in California and now lives in the Midwest. 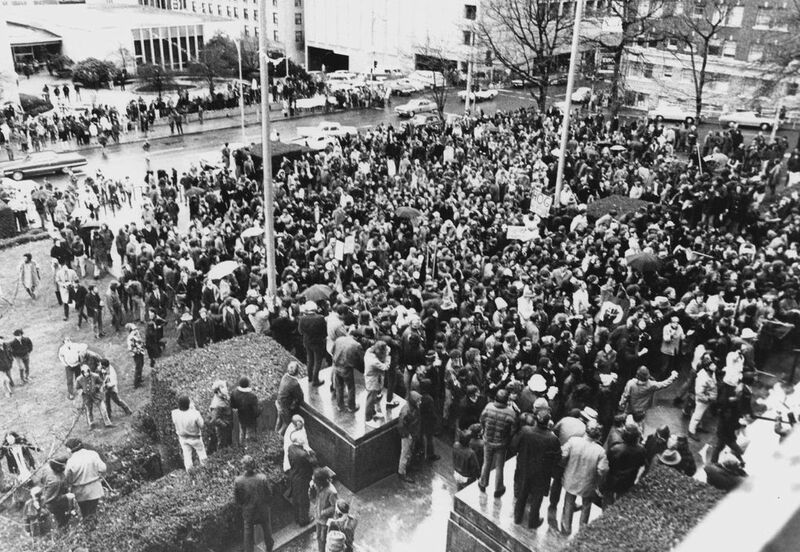 The Seattle 7 believed that a good society holds itself together by recognizing people’s common need for food, shelter, safety, personal affection and meaningful activity, now and for future generations. That is, of course, the American dream. We live today neither in the worst of times or places, nor in the best of times or places. Much is left to be done; our relatively greater freedom to dissent comes with greater responsibilities to exercise that right. 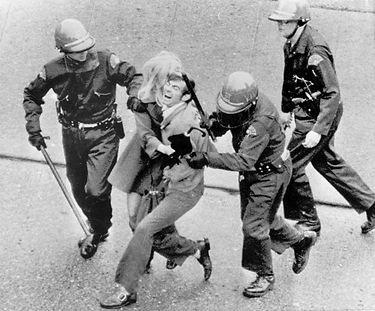 The problems out there to be solved today are surely as great as they were in 1970. The tools available today are more numerous, and the opportunities for creative engagement are broader, as well. Dynamic, thoughtfully focused dissent is even more American than apple pie, and is both the foundation and the scaffolding of a more just and free future. 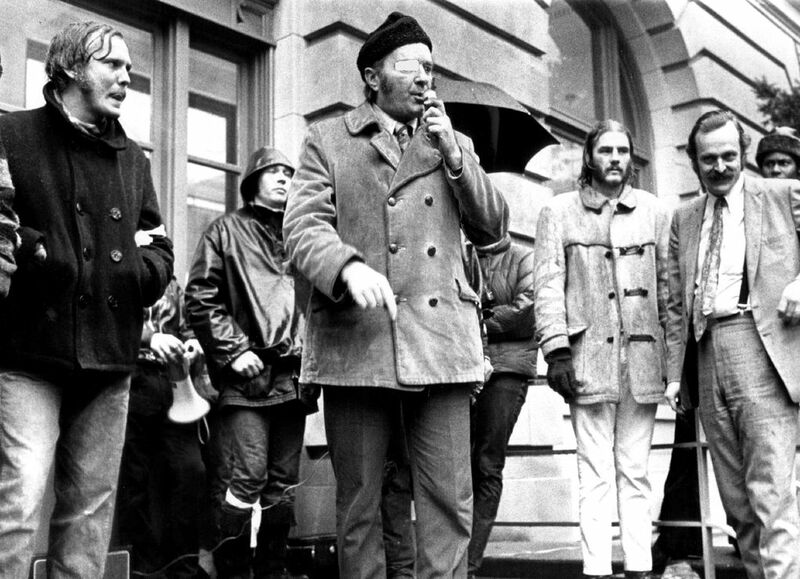 Kit Bakke was active in Students for a Democratic Society at Bryn Mawr College and later Weatherman, participating in anti-war and anti-capitalism actions around the country. Born and raised in Seattle, she was a pediatric oncology nurse, and now works as an independent writer and consultant, and supports local philanthropic organizations focused on human services and education. 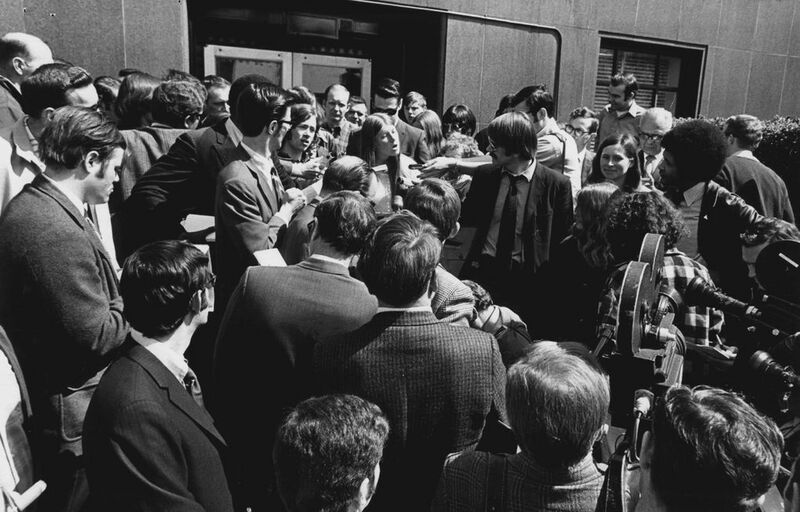 To write “Protest on Trial,” she conducted dozens of personal interviews with six defendants; their attorneys; FBI agents; journalists; jurors; the U.S. Marshal; and SLF members, supporters and critics. She also accessed the trial transcript, appeals briefs and depositions, newspaper and magazine articles, pamphlets and other ephemera of the times, as well as memoirs and books.